some sailors kept this light of hope and this patriotism which will soon make of them heroes. the courageous fighters in the rallying. to have chosen the camp of free France. (Xavier Gauthier, consul of France in Malta). A few days before Christmas 1940, disappeared in mission, off Tunisia, the Free French Forces submarine Q 118 Narval. The ship, under the command of Lieutenant François Drogou, belonged to the 11th division de sous-marins and was stationned in the port of Sousse, in Tunisia, at the time of the armistice of 1940. The 24th of June, refusing the dishonor of a shameful surrender, the submarine left Sousse and arrived to Malta, on 27, where Commander Drogou adviced general de Gaulle the rallying of Narval. During her third mission, Q 118 did not join her base in Malta and was officially reported missing in action with all hands on 21 of December 1940. The submarine quickly became a magnificent symbol of the spirit of resistance, courage and especially of a consciousness which had naturally urged her crew to refuse the unacceptable and to fight against the Nazi inhumanity! These exceptional men were prompted by a noble ideal and now deserve that we restore them the place which has to be theirs in the contemporary history. 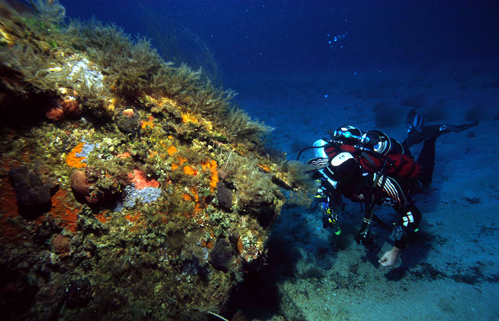 That is why, for several years, L' Expédition Scyllias made every effort to lead an action intended to locate the wreck of Narval and dive there. 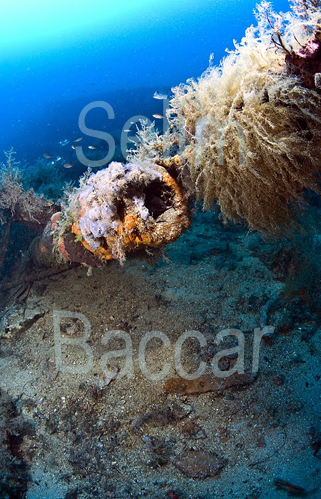 So, on Friday, June 10th, 2011, L'Expédition Scyllias and Selim Baccar with the help of Tunisian friends, managed to locate with accuracy the wreck of Q 118 which is laying by -40m off Kerkennah islands. This action, supported by the honorary president of our association, Jean de Reydet, and organized in a masterly fashion by Selim Baccar, took place in weird conditions but was as high as the expectations of the French-Tunisian team because the wreck finally saw divers coming to pay it a small tribute after decades of forgetting. While in France, L'Expédition Scyllias received no help or appearance of a real interest from the political "élite", whatever their political colour and even in higher level of the Republic, in particular those who claim Gaullists, nor even institutions, the Tunisians did not hesitate to help in the good realization of this action. If official France was the great absentee, Tunisians, them, guaranteed the success of this first expedition 'Narval'. This action was also the opportunity to put forward, in very beautiful way, the strong links uniting two peoples separated by the Mediterranean Sea and the good relations which they maintain. 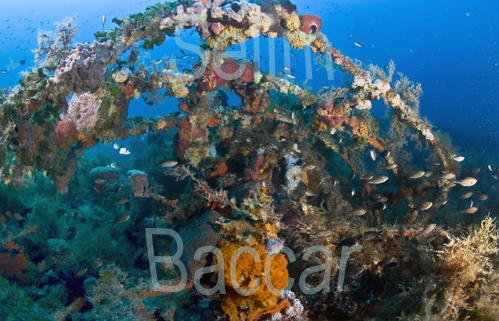 At the moment, L'Expédition Scyllias plans to organize a second operation on the wreck to deposit there a commemorative stele and a wreath of flowers in memory of those who rest there. We are in search of sponsors avid to join to this future action with commemorative purpose. We sincerely thanks Selim Baccar and Jean de Reydet without whom Narval and her crew would always lay somewhere, forgotten by all or almost.